I personally do not understand the problem. They're cute. In text ,under or ..er.. over the design, reads, "Give your doggy the gift of style!" Now what can possibly be misinterpreted there? We know what you are thinking, wow, that is a stunning, stylish shirt, but does it really work? one of those water wasting-earth polluting-oil consuming babies!" "Beer Dinkers for a Better Tomorrow" with ambigram underneath it reading, "Cheers". 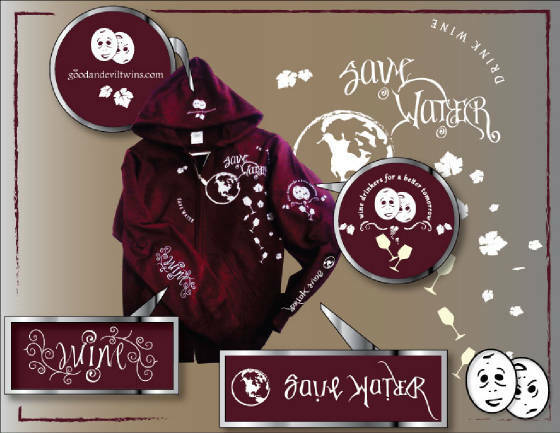 The design on the chest reads, "Save Water/Drink Wine". 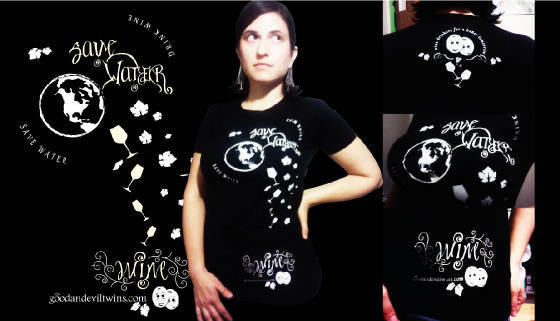 The left sleeve has another version of this ambigram with a logo at the top reading in text, "Wine Drinkers for a Better Tomorrow." The right sleeve has different ambigram that simply reads, "Wine". 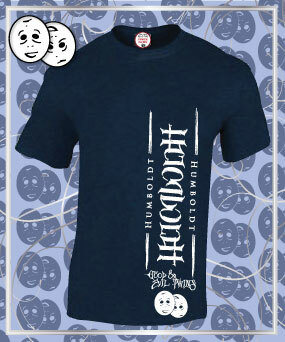 has made the world's first Generic-All Encompassing-Ambigram-Festival Shirt! OR, Buy in bulk for your own festival! 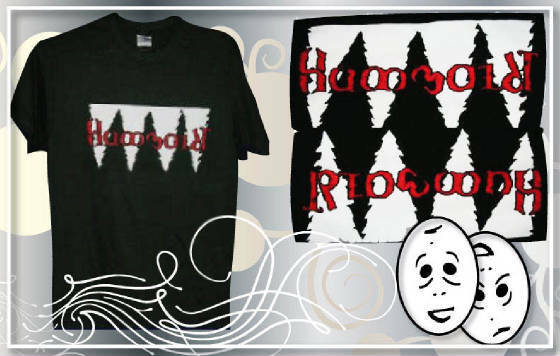 Please place you order and call us to order the sizes, (707) 845-6722. 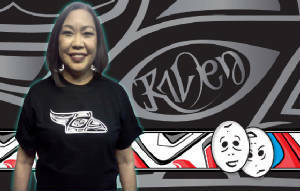 Call us for a bigger discount for orders of a 100 shirts or more. And they said it couldn't be done! 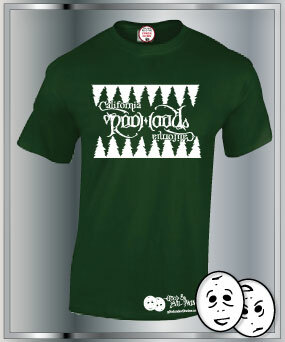 But we did it, we made a "cool" Christmas shirt! 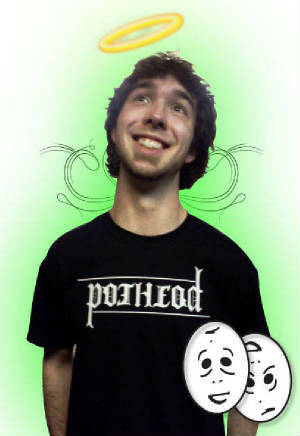 This is a perceptual shirt Christmas design. Either it's a Christmas Tree made of ambigrams with Santa in his sleigh way off in the distance delivering presents.Or, it is a picture of Santa in his sleigh with the ambigrams as presents falling and floating to the ground through the wind and the snow. 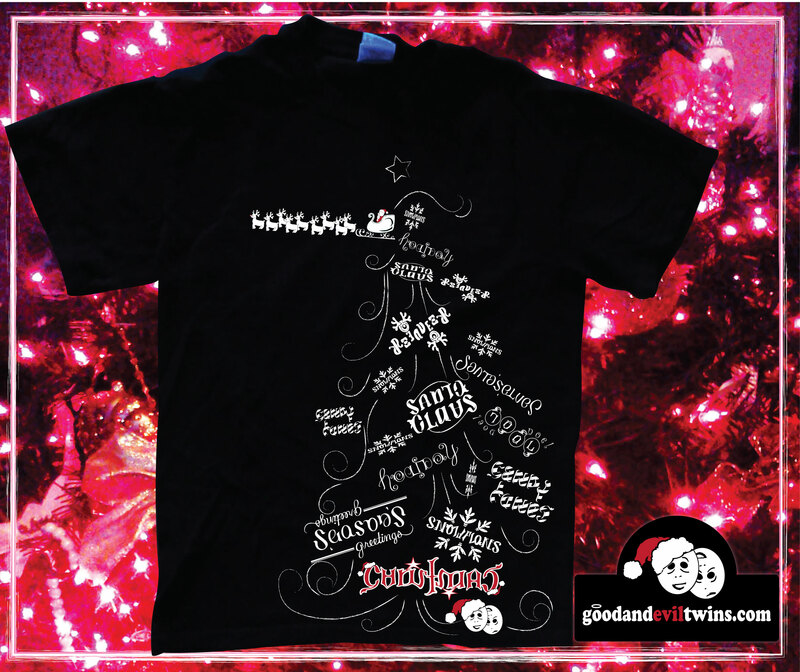 The ambigrams in this design are: "Season's greetings", "Snowflakes", "Noel", "Santa's Elves", "Reindeer", "Santa Claus", "Christmas", "holiday" and "Candy Canes". 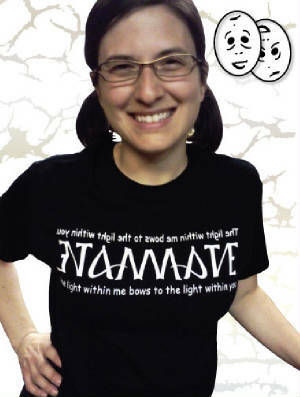 This beautiful shirt has our, "Save Water/Drink Wine" ambigram, as well as a "Wine" ambigram in the bottom corner. 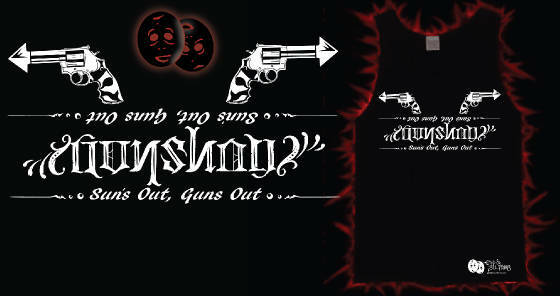 Creating your own custom ambigram design for tattoos, framed artwork, or other products is easy. Just contact us to speak with the artist directly and start planning your own personal message.